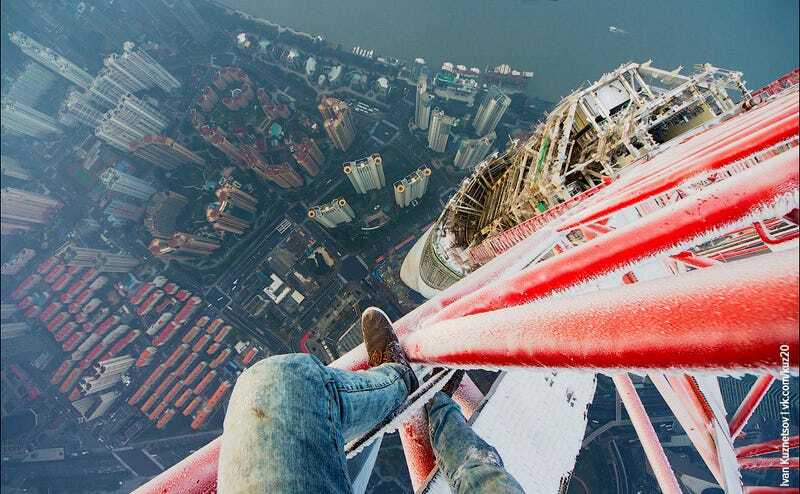 Ivan Kuznetsov doesn't care that the world's highest construction site—atop the 2,073-foot (632-meter) Shanghai Tower, the second tallest building on Earth—is full of ice and it's slippery as hell. His compatriots did it before him without ice, so he had to best them. Here are more of his adventures for you to scream. Of course these guys really don't give a damn about ice and slippery surfaces.